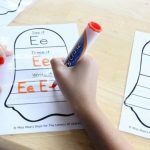 My kids absolutely love our themed tracing activities, and when I have them out for a writing workshop activity or a quick print and go morning review, they all but cheer. 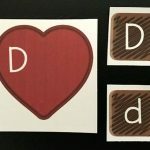 I think they love them because they like seeing what character or theme is up next, and they truly love anything that lets them choose their colors and “rainbow write.” We just recently wrapped up using our Snowman alphabet tracing printables, and I know my kids will be very excited to start using these Cupid themed “love letters” (get it? I couldn’t help myself) soon, too! 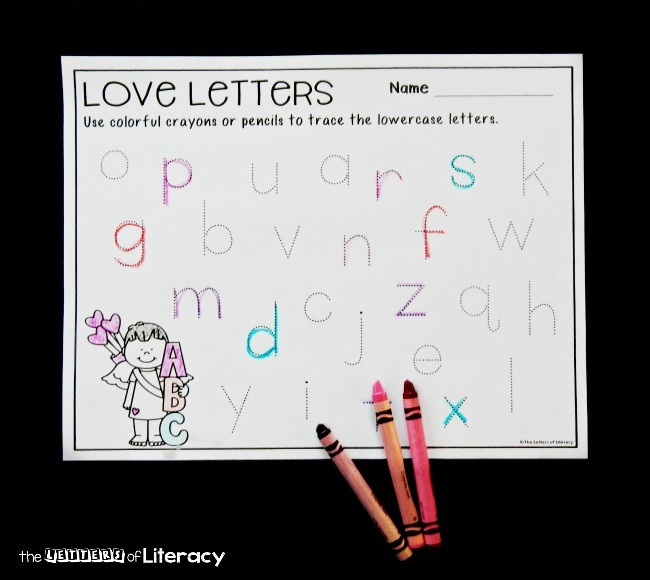 Like our “love letters” printable dry erase writing activity, these sheets work on tracing and writing upper and lowercase letters. 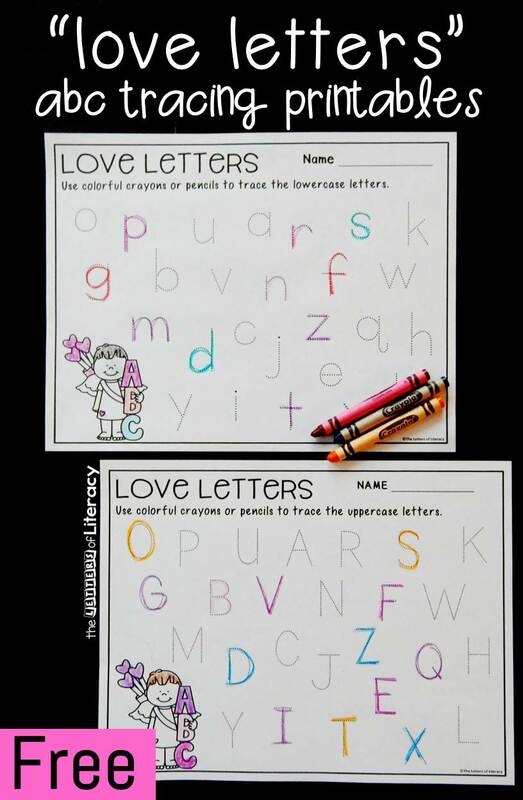 I recommend grabbing both activities, the first for a more in depth literacy center for working on single letters at a time, and this activity for a quick review or fun activity to review all letters at once. 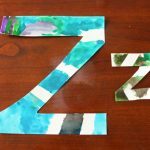 You can choose to review either upper or lowercase letters with these printables, as there is a page of each. Since I typically use them as a work work choice or entry task, I usually use both. 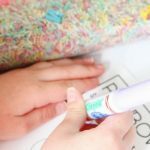 At this time of year, it’s about time for me to bring out a brand new pack of sharp crayons (our others have definitely seen better days) so this always gets kids more engaged, but some of our other favorite writing tools for these include colored pencils, twistable crayons, skinny markers, and pipsqueak markers are also fun. 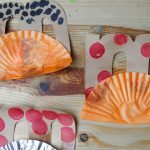 I find that the simplest activities can be made to be some of kids’ favorites simply by changing up the tools you use! 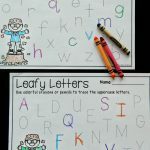 You can have kids randomly trace letters, or you can play a game of “letter hunt,” which is what I like to play in small groups. 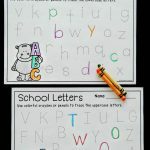 I will say a letter or sound, and then kids will search or “hunt” for that letter, tracing it as they find it. 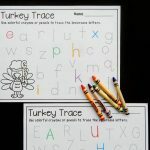 Ready to work on tracing letters? 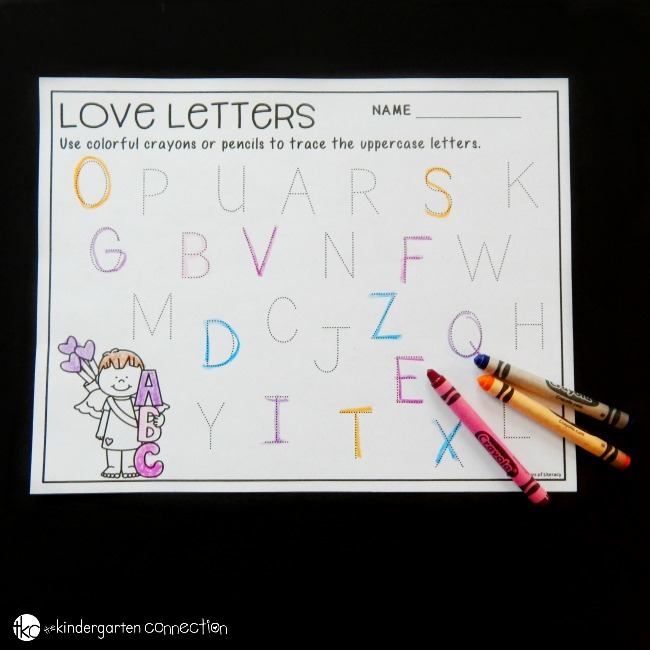 Grab your copy of the Valentine themed alphabet tracing printables by clicking the blue button below. 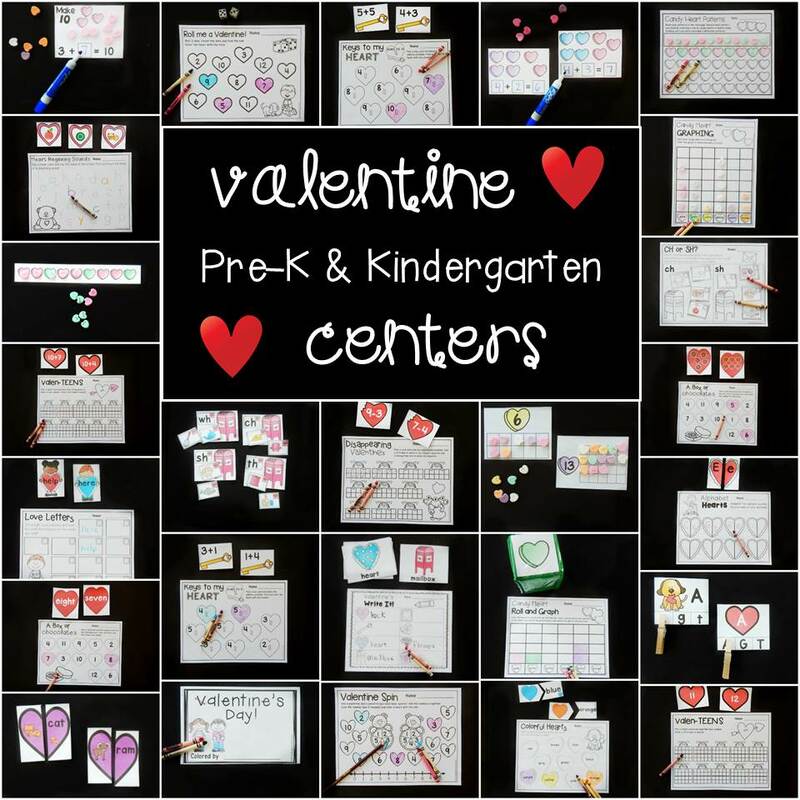 Then, for tons more Valentine’s Day fun, including 27 print and play centers and activities, hop over and grab our Valentine math and literacy centers!